Shawano Community High School offers students the chance to be able to join a club that lets them play a game that has been around for ages. Mr. Dave Stuewer helps run the Chess Club to allow the students the chance to play the game that they love. This group began because a group of students eleven years ago decided that they wanted to create a Chess Club. Later on, Mr. Stuewer decided to help with the Chess Club because he has a common interest of chess with others. Students are able to bring their talents to the board through this club. The Chess Club also allows students to go to tournaments at different places to compete. 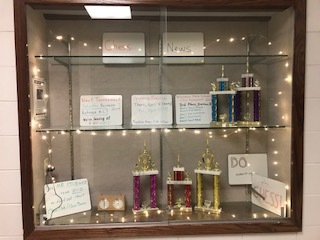 Chess Club provides a space for students from the high school to be with friends while doing the thing that the students in the club love the most. Not only does Chess Club have students in high school, but it also incorporates students from the middle school in town. The club wants to make sure that students at a younger age know how to play chess. Hopefully, it will also catch the interest of the students, and they decide to pursue this in high school. Chess Club is place for someone that is interested in meeting new people, helping younger people who are interested and a place to grow in something that you may love.